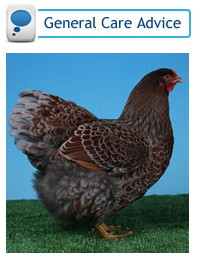 Brooding Methods – For the best brooder house, infrared lamps provide a convenient heat source. Porcelain lamps should be suspended no closer than 15 inches to the litter and suspended using chain or wire (not the electric cord). 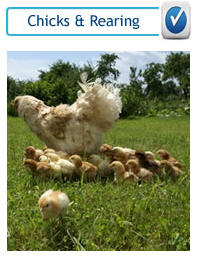 One 250 watt infrared lamp is usually sufficient to heat 80 chicks at an average temperature of 50°F. You should always use more than one lamp so the chicks will not be without heat if a lamp burns out. Supply more heat by lowering the lamps to 15 inches above the litter or by using more or higher-wattage lamps. To reduce heat, turn off some lamps, use smaller lamps, or raise the lamps to 24 inches above the litter. 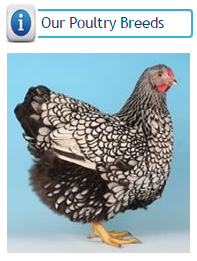 You are heating the chicks only and not the air, so air temperature measurements cannot be used as a guide to chick comfort when using infrared lamps. Download Pamphlet .pdf. Space and Equipment Recommendations – Provide half a square foot of brooder house space per chick from 1 day to 6 weeks of age. 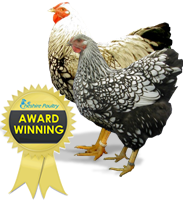 Allow 1 ½ to 2 square feet of floor space for wyandotte pullets and 2 to 2 ½ square feet for heaving pure breed pullets confined during the growing period. Place feed on chick box lids or trays from cut-down card-board boxes for the first few days. Feed and water should be available to the chicks as soon as they arrive. Provide 1 lineal inch of feeding space per chick at the hoppers at first and increase to about 2 inches after chicks are 2 weeks old. 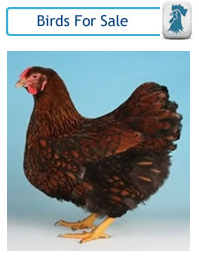 After 8 weeks, provide 3 to 4 inches of feeding space for growing pullets. A hanging tube-type feeder 15 inches in diameter will feed about 30 birds. Less feed is wasted by filling hoppers only half full and adjusting feeder height or size to bird size. Health and Sanitation Practices – Isolation from other birds is the first rule in preventing disease. Restrict unnecessary traffic of people and pets into the poultry house. 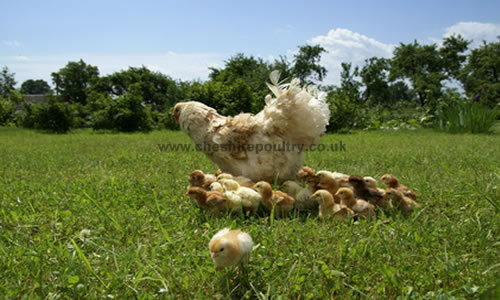 If different ages of chickens are present on the farm, physically separate the flocks as much as possible and care for the younger birds first. Disease and parasite control will be easier if the birds are kept confined. Rotate yard and range areas so that birds are not on the same ground year after year. 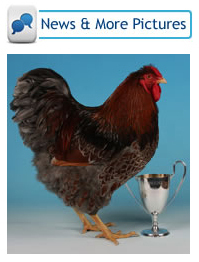 Keep the premises free of rodents and screen free-flying birds from the poultry house. Have chicks vaccinated at the hatchery for Marek’s disease. Good sanitation and a low-level coccidiostat drug in the feed during the brooding & growing period will usually prevent coccidiosis. Examine birds occasionally for lice and mites. Housing and Equipment -Housing requirements for brooding and rearing chicks and pullets can be quite minimal if done in late spring and summer. Almost any small building that meets the floor-space requirements for the desired-size flock can be used. 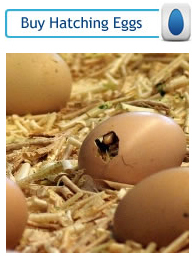 A small number of chicks can even be brooded in a corner of a garage. 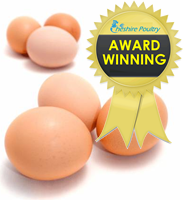 After the brooding period, pullets can be reared in a fenced range or yard with only a covered shelter for protection from the weather. Download Pamphlet .pdf.